I guess I was browsing around Facebook (or maybe it was on Twitter) a couple weeks ago when I saw the author, Adam Thomas, of Lennon vs. McCartney: The Beatles, inter-band relationships and the hidden messages to each other in their song lyrics post about his book being half price on the publishers website, so I thought I’d give it a go since it seemed like a topic that I hadn’t fully delved into where the Fab Four are concerned. This book was self-published in November 2014 but is able to withstand the test of time since it starts back at the very beginning of the Beatles career and because there are now only two original Beatles who are still with us here on earth. 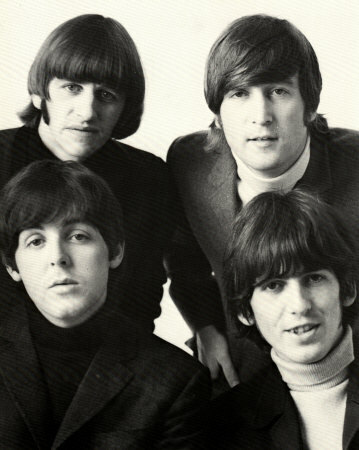 Paul and Ringo still may write songs about their heydays as Beatles, but most of it is reflective and nostalgic with very little, if any, controversy. This book is only about 200 pages, but does a great job of pointing out the songs that Lennon and McCartney wrote about each other (both good and bad), both during their time as a writing team and after the split up of the band. The one problem that I found with Adam Thomas’ presentation of this material was that he very rarely quoted the lyrics of the songs and instead would just give his interpretation of what was contained in it. I can only guess that he did to avoid dealing with any copyright issues, but unless you know the words to every Lennon and McCartney song ever written, it can be a little trying. Still, he does do a great job explaining the meaning behind the songs. And…not only does he analyze John and Paul’s hidden messages, he also takes on Ringo and George’s work as well. I rate this book, 4 out of 4 Beatles!